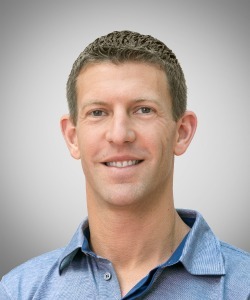 In this guest column, Adam Rogers, chief technology officer of Ultimate Software, describes where he believes AI and machine learning will lead HCM technology. Despite the intrinsic contradiction, it’s clear that artificial intelligence and machine learning are primed to play a leading role in the future of human capital management. As CTO of a software company that offers AI-driven HCM solutions across a variety of industries, I’ve had the opportunity to witness this growing impact first-hand and think about where these technologies will take us moving forward. Recent advancements have already eliminated tedious payroll tasks, improved employee productivity and streamlined processes. But as technology continues to evolve at a breakneck pace, emerging systems are looking to revolutionize how organizations make hiring, firing and compensation decisions. Hiring the right talent is pivotal for organizational success, but recruiting is traditionally one of the most challenging aspects of HR, especially for high-turnover tech companies. With unemployment rates at their lowest level since 2000, even employers of choice are finding it difficult to fill open positions. While unfilled roles have a detrimental impact on organizational productivity, hiring the wrong person also results in a significant drain on resources. Fortunately, a variety of AI tools are empowering recruiters to make smarter, more strategic hiring decisions. AI’s ability to consume and analyze massive quantities of data, manipulate variables and discover patterns makes it ideal for the candidate-sourcing process. Not only can the technology automate administrative and other low-level tasks–such as eliminating unqualified resumes, scheduling interviews and compiling candidate profiles–it can apply sophisticated algorithms to determine skill sets and select promising candidates from a large number of applicants. 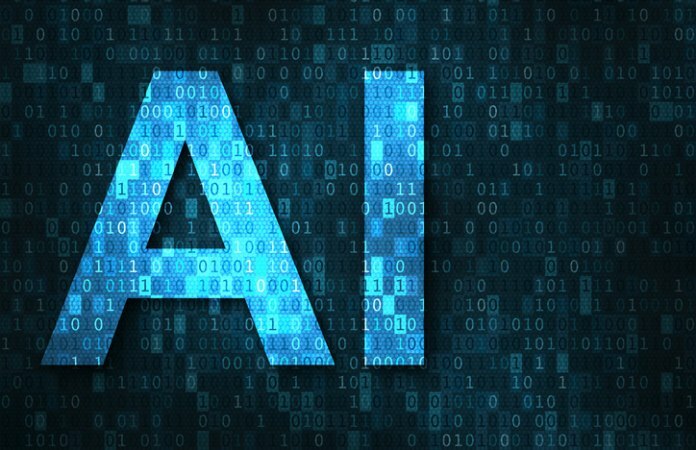 AI screenings can also generate comprehensive assessments tailored to each role or screen candidates holistically, evaluating a wide variety of quantifiable data and comparing it with the target profile. This is a stark contrast to many traditional recruiting endeavors that only prioritize the resume and personal connections. For example, when recruiters rely primarily on Boolean searches, they’re immediately limited to candidates who’ve used identical terminology in their resumes. AI systems, however, can uncover candidates who might have been overlooked during traditional screenings, whose soft skills and experience are ideal for the role (even if their keywords aren’t). Most job seekers are probably familiar with multiple-choice questionnaires companies use to weed out applicants, but emerging AI is capable of so much more. By applying natural language processing and advanced machine-learning algorithms, recruiters can ask applicants open-ended questions and use their responses to compile comprehensive psychological profiles that assess everything from innate empathy and politeness to attention to detail and cultural fit. Progressive organizations should also consider reverse-engineering to develop “perfect fit” profiles. Modern HCM solutions offer a wealth of information about an organization’s current employees, which is a gold mine for recruiters looking to fill similar roles. Algorithms that can pinpoint and analyze, top performers can then relay the specific experience and skills most likely to help this “ideal candidate” succeed. Of course, when conducting these analyses, it’s important to consider human bias and ensure algorithms are looking to fill existing skills gaps without contributing to a lack of diversity. This note on diversity is important. In the past few years, numerous tech firms have made headlines for their lack of diversity, drawing harsh criticism from the public and occasionally even legal consequences. Unfortunately, bias—both conscious and unconscious—is very real, and the risk to organizations goes beyond negative press, hurting both innovation and revenue. AI can help here, too. Some systems analyze job descriptions themselves to ensure the language is inclusive and fair. Other systems create a “blind audition,” which hides either keywords or identifying information to reduce the potential for unconscious bias. Finally, considering one small study found in 2012 that more than 60 percent of organizations use video during their interview process, I’m excited about AI developments that will be able to analyze word choice, microexpressions and inflection to pick up on personality and authenticity cues that most humans would miss. For each of these advancements, the goal is not to replace recruiters and that all-important “gut reaction,” but to speed up the process and make it inherently smarter. By automating certain processes and optimizing others, recruiters are empowered to prioritize connecting with and recruiting the best candidates (as opposed to searching for them). Once you’ve hired the best possible talent, the next priority is to develop and retain them. Retaining talented employees is consistently ranked as one of the top people challenges for leaders, especially considering replacing a single employee can cost one and a half times their annual salary. Alternatively, holding on to a low-performing employee, especially one who’s resistant to support or is inhibiting overall culture, can have both short- and long-term consequences. What’s worse, it’s not always apparent to managers and executives who the low and high performers are, making it extremely difficult to assess the workforce. In fact, according to a 2017 study our firm conducted with The Center for Generational Kinetics, just 47 percent of managers use any type of data at all when making salary or promotion decisions. This statistic alone is mind-boggling. It truly drives home the need for intelligent software to help managers make the smartest—and fairest—staffing decisions. AI enables organizations to bring together various data sources, such as performance ratings, salary increases and skill sets, to help leaders better understand their people and make more informed decisions on everything from individual development plans to companywide succession planning. These data-driven performance measures easily identify top performers, but they’re also adept at predicting future high performers. And these predictive capabilities aren’t limited solely to performance. Today’s AI tools can predict flight risk and engagement levels, too. What’s more, the development of prescriptive analytics empowers managers to take specific actions to encourage struggling employees, remediate negative situations or reward employees for going above and beyond. AI’s exponential growth has incredible implications for HR, many of which are probably unimaginable at this point in time. But for now, it’s clear these technologies can play a crucial supporting role in helping HR leaders make the most informed and strategic staffing decisions through every step of the employee life cycle.